The Patel Conservatory at the Straz Center in Tampa will host auditions for our summer theater programs. 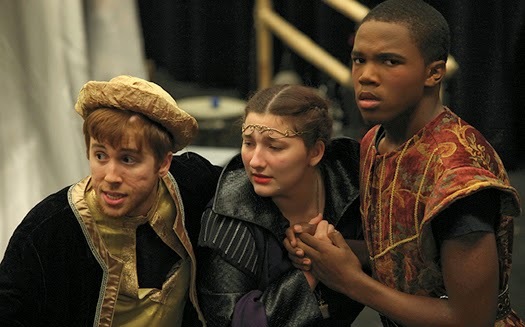 Our summer theater productions are performance based programs designed to allow students to put into practice the skills they gain in the classroom. Students receive intensive theater training and participate in a nurturing and demanding rehearsal process that culminates in a ticketed production in one our theaters, open to the public. Sun., Apr. 6. at 10:30 a.m. or 2 p.m. Mon., Apr. 7. Call for times. Students should prepare 16 bars of a song. Piano accompaniment and CD/ iPod hookups will be available. Students will also will learn a short dance routine and be led through some theater warm ups and improv exercises, so come prepared to move (no revealing or restrictive clothing, no high heels, flip flops, etc.). All students may also be considered for summer vocal arts programs at these auditions. Sat., Apr. 6 at 2:30 p.m. Mon., Apr. 7 at 7:30 p.m. Please prepare a 1 minute monologue or Shakespearean sonnet. There is a $15 audition fee for all auditions. RSVP is required. Placement will be given immediately following auditions. For more information, or to RSVP, please call 813.222.1002.